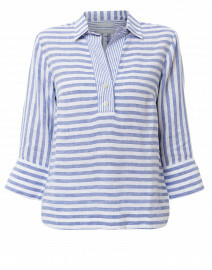 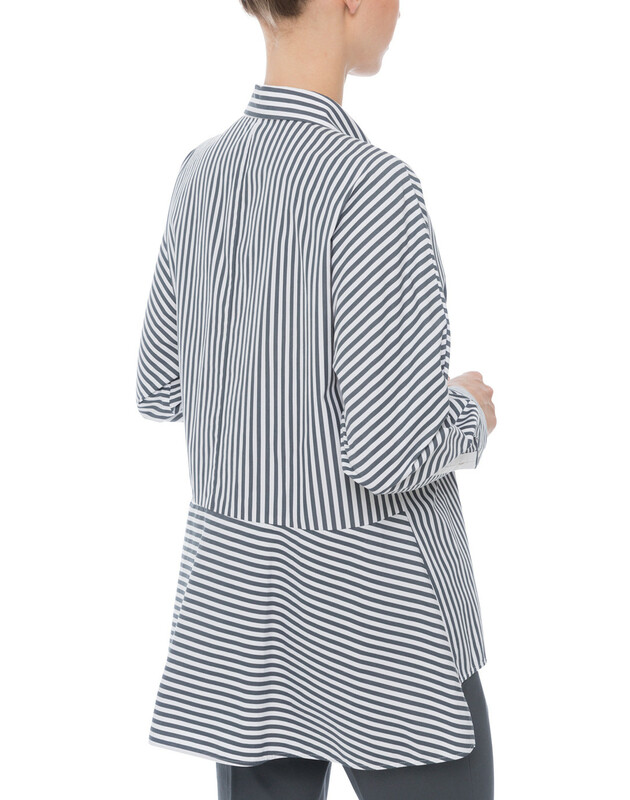 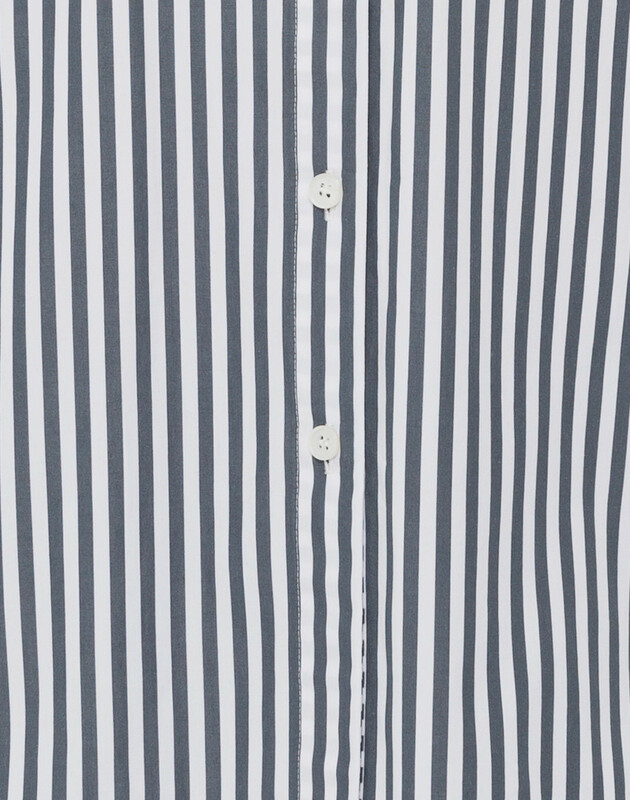 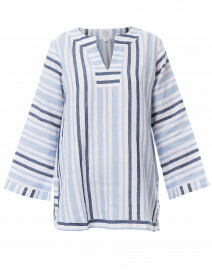 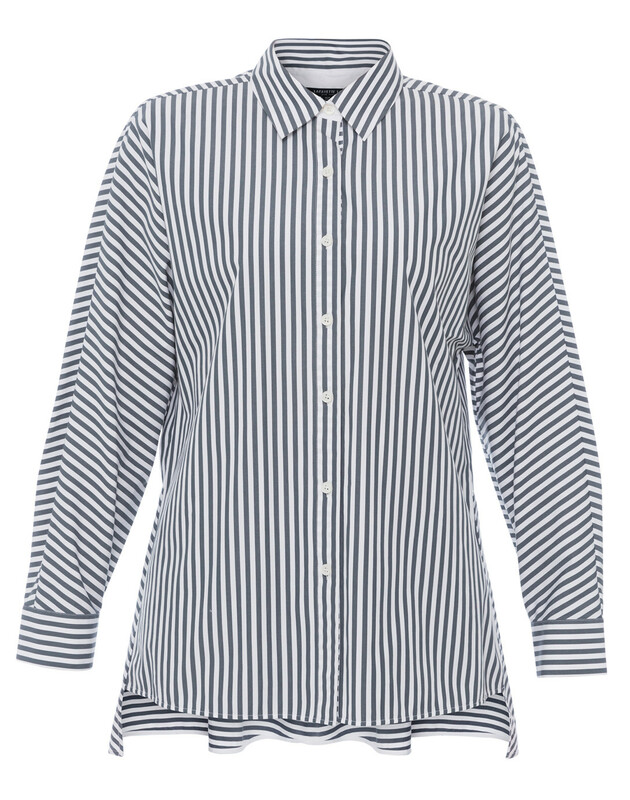 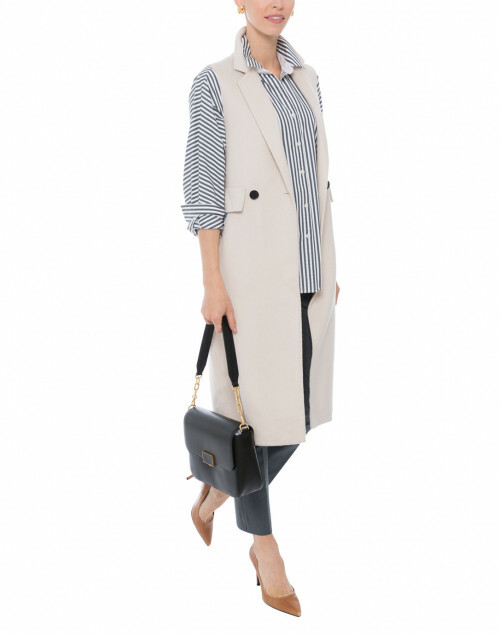 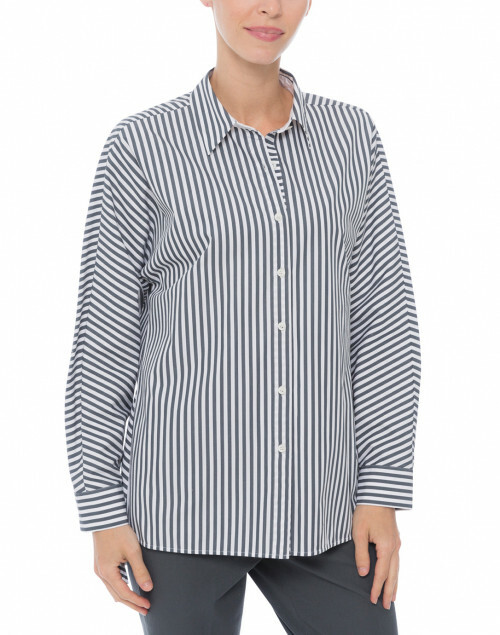 Lafayette 148's Felicity striped Italian stretch cotton shirt will fit into your wardrobe even more seamlessly with a dolman shoulder for a fuller shape, and a classic button-down structure. The crisp clean lines elevate, the grosgrain trim and chain detail lend femininity, and the slit high-low hem offers flexibility. 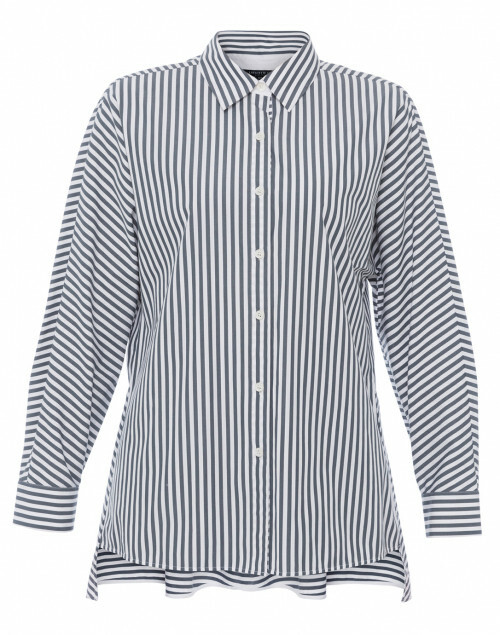 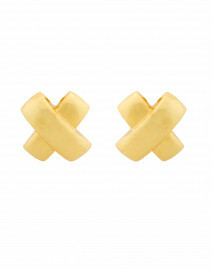 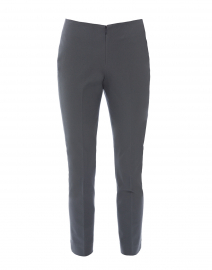 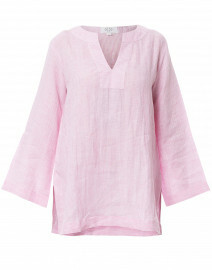 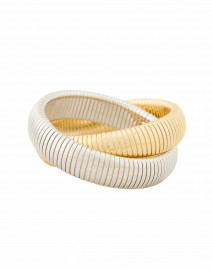 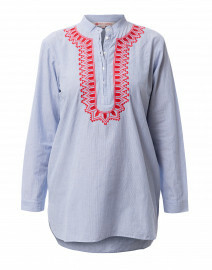 Wear it with tailored trousers and a structured bag for a smart, polished look. 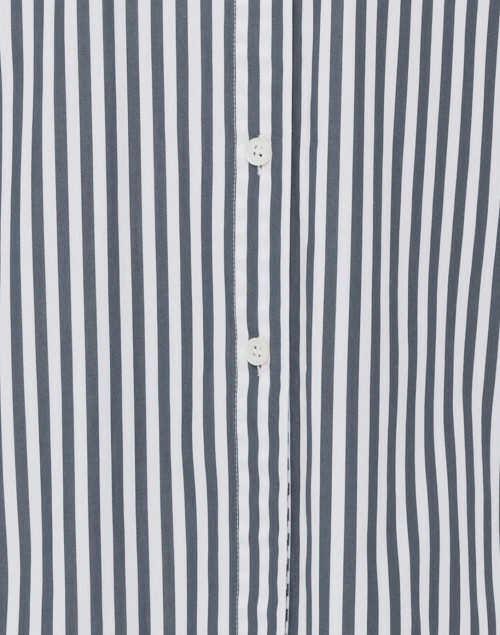 Length 25.5"/26.5" 26"/27" 27"/28" 27"/28" 27.5"/28.5"
Shoulder Width 16" 16.25" 16.5" 17" 17.5"
Bust 36" 38" 41" 43" 46"
Waist 36" 38" 41" 43" 46"
Hip 41" 42" 44" 48" 50"
Sleeve Length 21" 21.5" 22" 22.5" 22.5"